One of the great features of Surface Arc Mouse is its design and portability. It’s really slim, lightweight, and take up a very little space that you can slide easily into a sleeve or a bag with your laptop. However, there is one more thing that most people didn’t know about is its advanced configurations that you can do with Surface Arc Mouse. 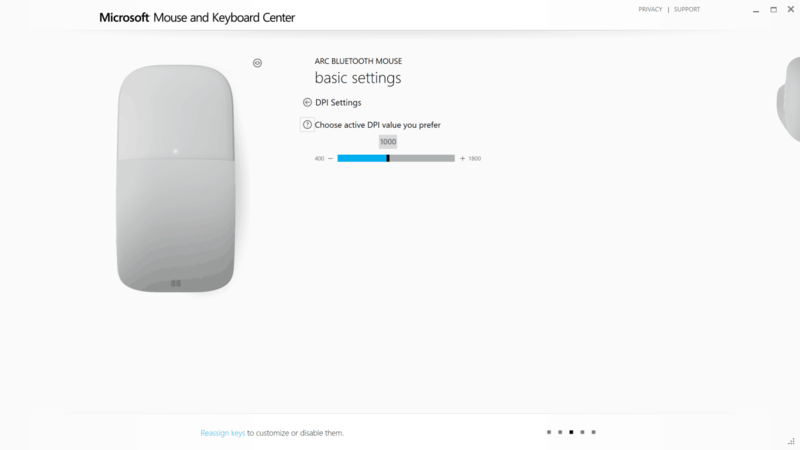 Microsoft has a tool called “Microsoft Mouse and Keyboard Center” for unlocking and configuring advanced features on some mice and keyboards that made by Microsoft. 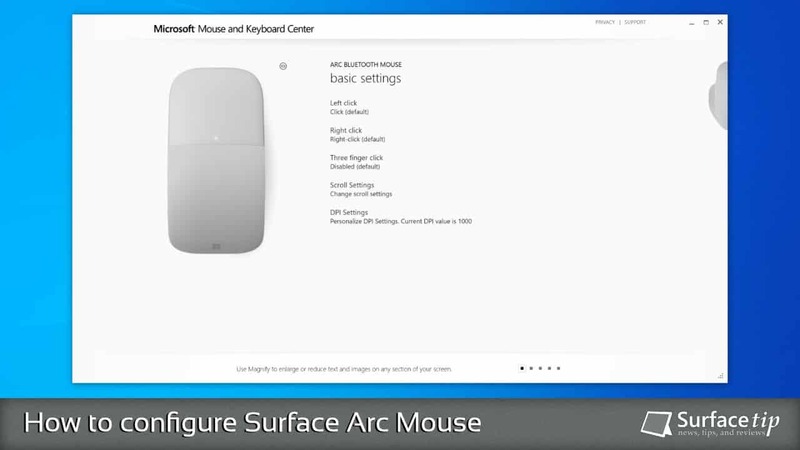 Those mice also include the Surface Arc Mouse. 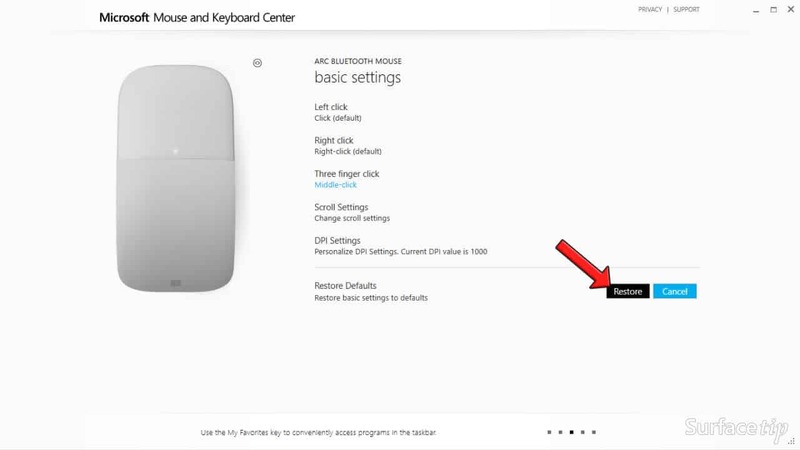 And, today we will walk you through how to configure and remap the left click, right click, three fingers click, scrolling behavior, and DPI settings on Surface Arc Mouse. 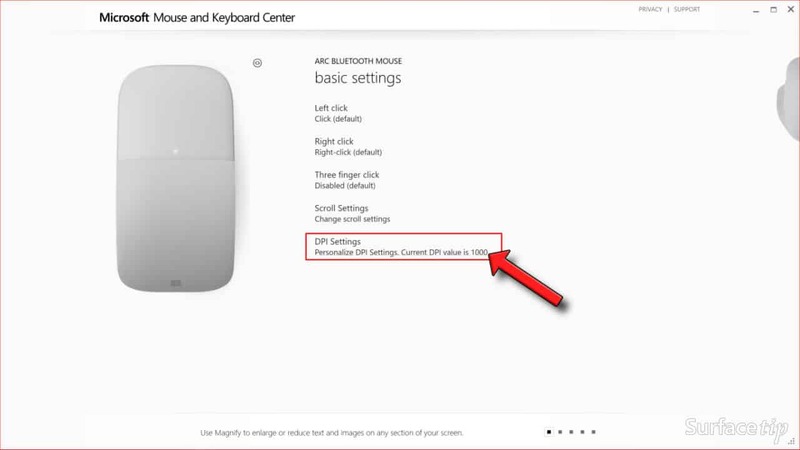 In order to configure Surface Arc Mouse, make sure you’ve done the following requirements. 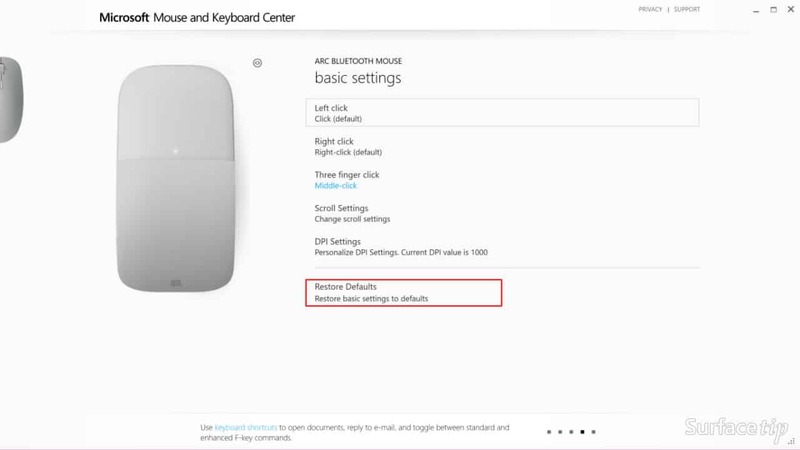 Make sure you have downloaded and installed the Microsoft Mouse and Keyboard Center on your computer. 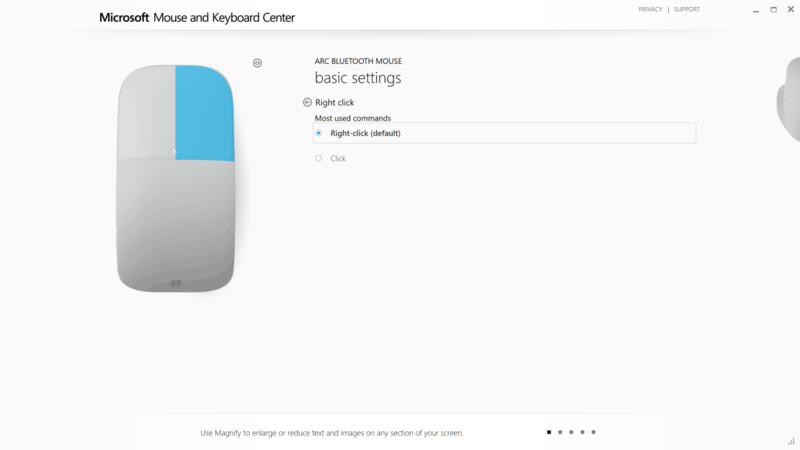 Check out here on how to download and install the Microsoft Mouse and Keyboard Center. Make sure you have successfully connected Surface Arc Mouse to your computer. 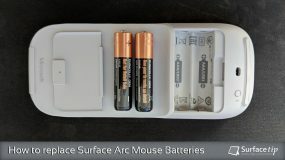 Check out here on how to connect a Surface Arc Mouse to your computer. Now you’re are good to go. Read on to see what you can do with your Surface Arc Mouse. 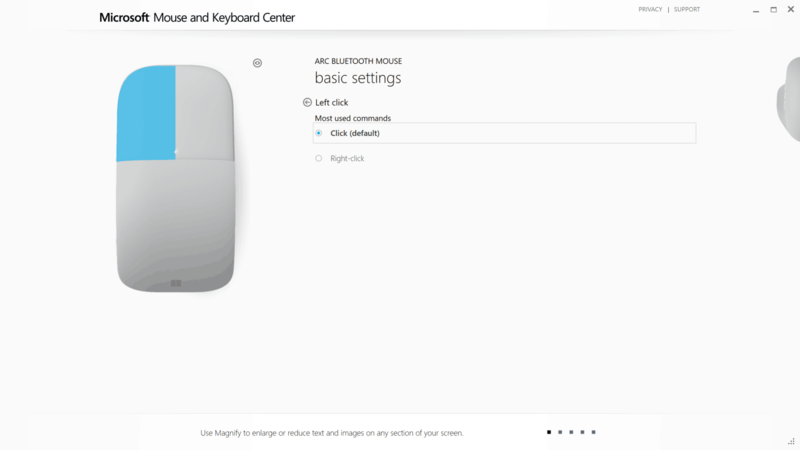 On the main configuration page, select Left click. You’ll be directed to the Left click configuration page with the following options. Click (default) – keep the default click action. Right-click – change it into a right-click action for those who are left-handed people. 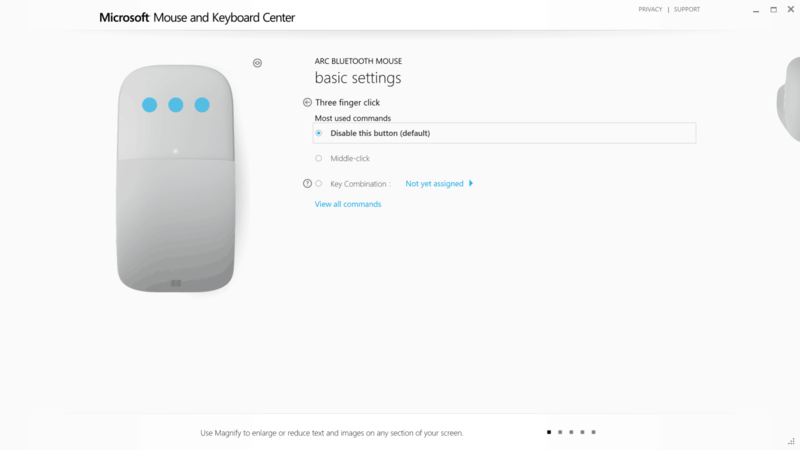 On the main configuration page, select Right click. You’ll be directed to the Right click configuration page with the following options. 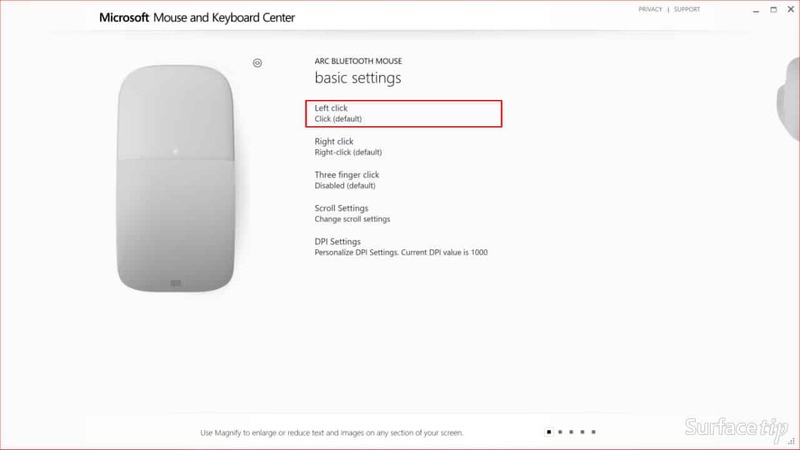 Right-click (default) – keep the default right-click action. Click – change it into a left-click action for those who are left-handed people. On the configuration page, select Three finger click. 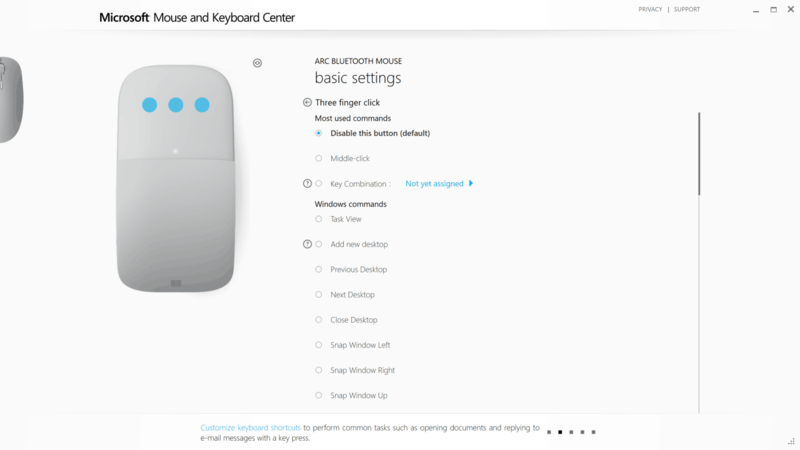 You’ll be directed to the Three finger click configuration page with the following options. Option 1: Disable this button (default) – Turn off this feature. Option 2: Middle-click – Turn the three finger click into a middle-click (aka. scroll wheel click). Here are all preset commands that available for assigning. On the configuration page, select Scroll Settings. 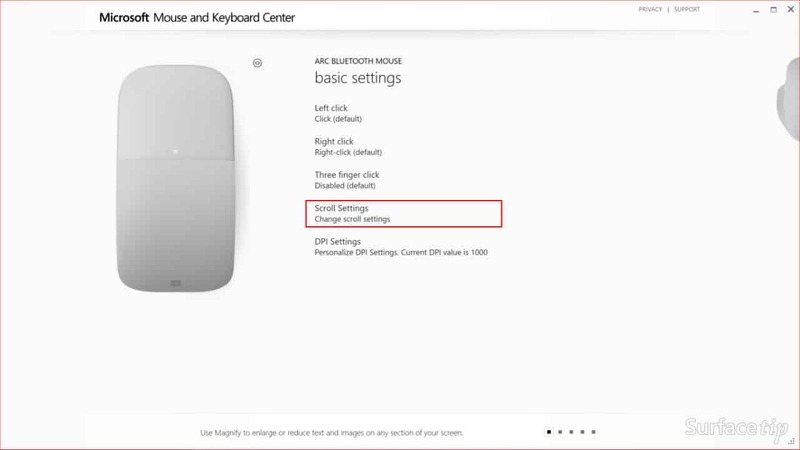 You’ll be directed to the Scroll settings configuration page with the following options. Vertical Scrolling – Enable/disable the vertical scrolling (two fingers swipe up/down). Vertical Flick – Flicking your finger on the touch panel vertically makes vertical scrolling continue after you lift your finger. The faster you flick, the farther you will scroll. Flip Vertical Scrolling Direction – Reverse the direction of vertical scrolling. Horizontal Flick – Flicking your finger on the touch panel horizontally makes horizontal scrolling continue after you lift your finger. The faster you flick, the farther you will scroll. Flip Horizontal Scrolling Direction – Reverse the direction of horizontal scrolling. Smooth Scroll Mode – Enable smooth scroll mode for a more controlled and smoother scrolling experience. On the main configuration page, select DPI Settings. You’ll be directed to the DPI Settings configuration page with the following options. In this configuration page, you can indicate a value ranged from 400 to 1800. The setting will take effect immediately, so you can know which value will work well for you. After you have made any changes from the default settings, the main configuration will show up a new option called Restore Defaults which allows you to return all the settings you’ve made changes to its original value. Select the Restore Defaults. It will show up another two buttons, click Restore to restore all the default settings. 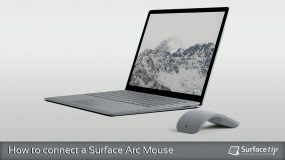 Microsoft Surface Arc Mouse is such a premium portable mouse from Microsoft which offer so many configuration options through the Microsoft Mouse and Keyboard Center tool. Now you’ve known all the possibilities of the Surface Arc Mouse, and if you have any questions or problems with the procedures detailed in this tutorial, please leave a comment below. 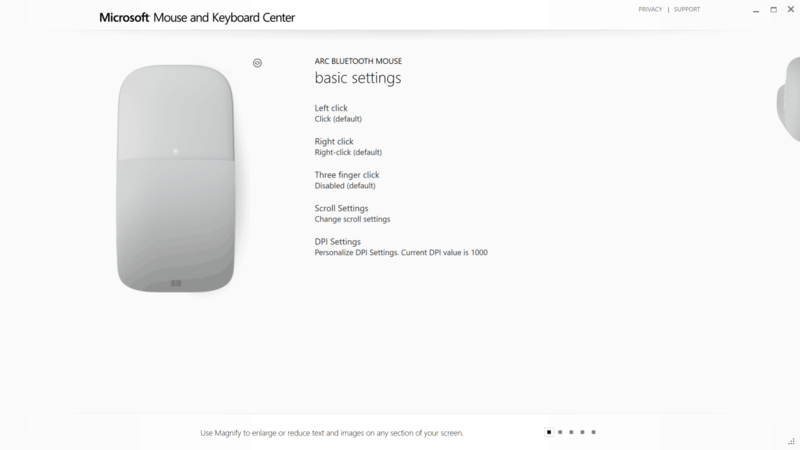 We appreciate hearing your thoughts, questions, and ideas about “How to configure Surface Arc Mouse with Microsoft Mouse and Keyboard Center”. Please post respectful comments and on topic. We will be replying back to you as soon as possible. 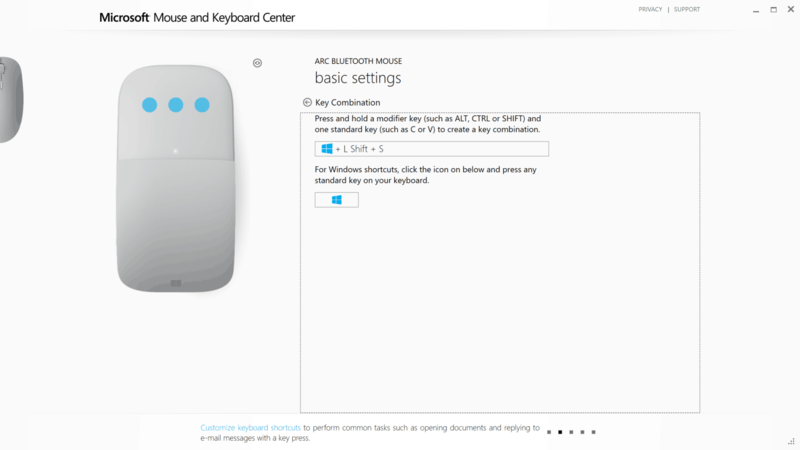 Share your idea about "How to configure Surface Arc Mouse with Microsoft Mouse and Keyboard Center".